The rules of the court 5.6A stipulate how child support should be awarded in financial terms. 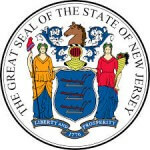 It sets out the guidelines that help the courts to decide on a child support case in New Jersey. With these guidelines cases relating to how much each parent should contribute and in what circumstances only one parent should contribute are settled easily. Factors such the cost of child care, medical insurance of the child and the income of the parent is put into consideration.